The 1920s in New York had a significant influence on a large group of dominant and wealthy businessmen. Companies, like Brooks Brothers for example – who are considered among the pioneers of the American suit, reinvented the suit in order to make it suitable for mass production. And we see these elements loud and clear just by having a quick attentive look at the American suit. Often dubbed as the sack suit, the American cut is loosely-fitted, giving its wearer a soft silhouette. “Sack,” though, did not refer to the suit’s bagginess, but to a traditional French construction technique. Rather than forming the jacket’s back from four curved pieces of fabric, as was standard for formal wear, a ‘sacque’ coat was made using only two, straight panels. This technique gives the sack suit its characteristically ‘boxy’ look. Traditionally, sack suits are single vented, without shoulder padding, and without darts, also known as folds that are sewn into a suit jacket’s canvas layer to increase the three-dimensionality of its elements, like lapels. Darts generally create a more ‘tailored’ look. The suit is best paired with full cut pants without pleats. When London’s wealthy flocked to Savile Row, a street inLondon’s Mayfair district world-famous for its bespoke tailors, a distinctly British suit style was born. An English cut suit is a highly structured and tailored garment. Because it originated in the practices of true bespoke tailoring, traditional British suiting has a far more ‘fitted’ look than the mass-produced styles that became emblematic of American style. Higher armholes made for closer-fitting sleeves. More elaborate, and expensive, construction lent the British suit a tapered waist. Lightly padded-shoulders, probably borrowed from highly-stylized military uniforms. And side vents garnered from a rich equestrian history that, by the time American suiting had solidified into a ‘style,’ was out-moded. The garment is definitely better suited for on heavier fabrics such as tweeds, heavy woolen blazers and suit fabrics which are generally on the greater GSM side. You can also see it single, or double breasted, with usually two vents. The suit is best paired with high waisted pants with single or double pleats. Summed up in one word, the English suit is elegant. It is a true gentleman’s cut. Ermenegildo Zegna, Armani, Nazareno Fonticoli - are some of the many names who have significantly impacted the design of the Italian suit. With a slim and stylish design to reflect the nature of the Italians, the Italian cut plays on the smaller waist of the average European man to create a dramatic inverted triangle. This lends itself to both an image of power and the impression that you know fashion. 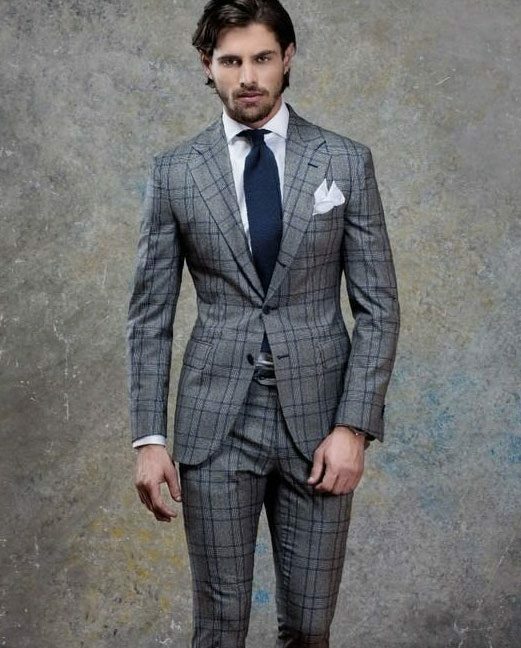 The Italian suit is characterised by the high buttons, padded shoulders, very slim and tailored waists, and the absence of pocket flaps and vents. They pair best with pants with a tapered waist, tight hips and no breaks. The Italian suit works better for any man who’s small-framed, as many Italian men are. Short, thin guys are well-served by the characteristically short jacket and high buttoning stance of Italian suits, and thin men look sharper in their slimmer fit. It is the suit for the sartorially inclined, modern man; guaranteed to set you apart from everyone else in the room. It is a suit that will get you noticed and a suit which gets appreciated. Harioms is passionate about tailoring high quality garments and delivering a new standard of bespoke suits in the region. Harioms Tailor is located in Pasar Baru, Jakarta. Indonesia. Sign up with your email address to receive news and exclusive offers. We protect your information. No spam.